NOTE: In July of 2017, we ran this story about a project by a Rotary Club in North Carolina that would house a carousel built by Carousel Works. We have added an update at the end of this post. The Rotary Club of Greensboro, North Carolina is celebrating its 100th anniversary this year. 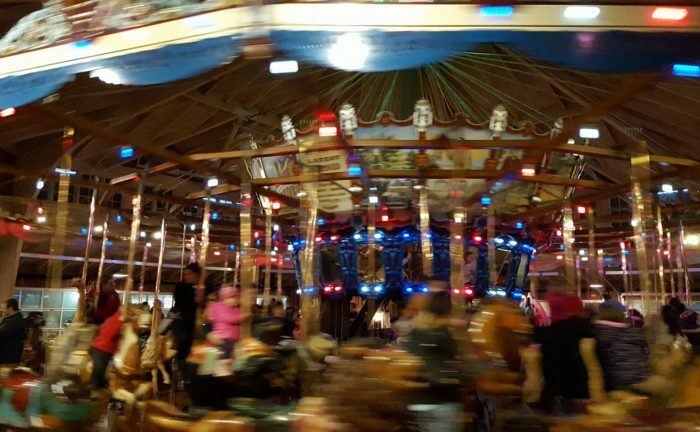 As a thank-you to the community, the Club has undertaken the financing of a new custom-made carousel which will be housed at the Greensboro Science Center. The ride will be built, however, right here in Mansfield. The newly constructed facility will include a carousel, a carousel “house”, and a party pavilion, and is expected to be completed in 2018. Upon the completion, the Carousel will be gifted to the Greensboro Science Center, a nonprofit that works in partnership with the City of Greensboro. “We wanted to do something big to celebrate 100 years and we are excited that the Rotary Club of Greensboro Carousel will be a centerpiece of the quickly developing Battlefield Parks District,” said Bobby Bain, President of the Club. The carousel is being constructed by Carousel Works, Inc. of Mansfield, and will feature 14 rows of animals with 4 in each row and 2 ADA-compliant stationary sections. According to the project’s page on the Rotary Club website, the Greensboro Grasshoppers, the Class A local minor league baseball team, will be “hatching” a grasshopper carousel figure during their August 6 game. This past week, the Club shared a photo showing the beginning pieces for the carousel project (see below). UPDATE: On Friday, the Greensboro News & Record published a post updating progress on the carousel, which is now expected to be complete and open later this year. According to the article, which can be read here, figures in the finished product include representations of Revolutionary War General Nathaniel Greene’s horse and college mascots. Importantly, the Rotary Club has raised all but $200,000 of the total project’s $3 million costs. A slideshow of construction and current status photos is included in the article.